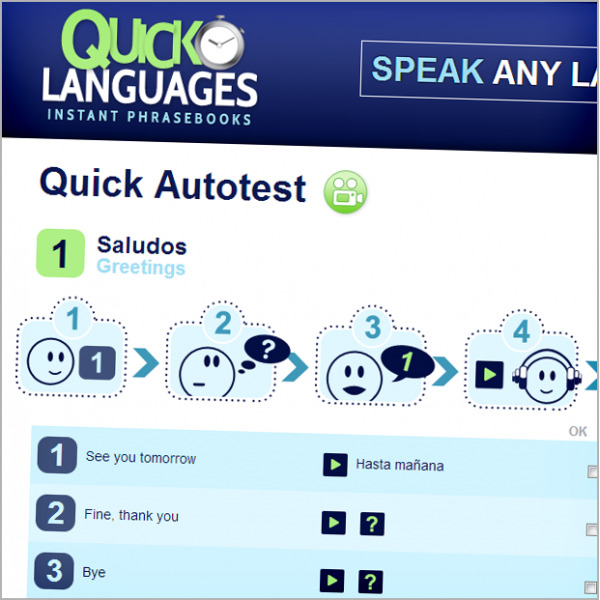 An e-phrasebook that introduces you to the 12 predominant world languages all in one convenient drop down menu. Pick the language you want to learn today, and a native speaker will introduce you to the 1,000 key words and expressions used on a daily basis. Are you ready to connect with over 4 Billion people? Spanish today, Chinese tomorrow, YOU DECIDE. Did you know that we only use about 1,000 words in our everyday vocabulary? The same goes for any language! 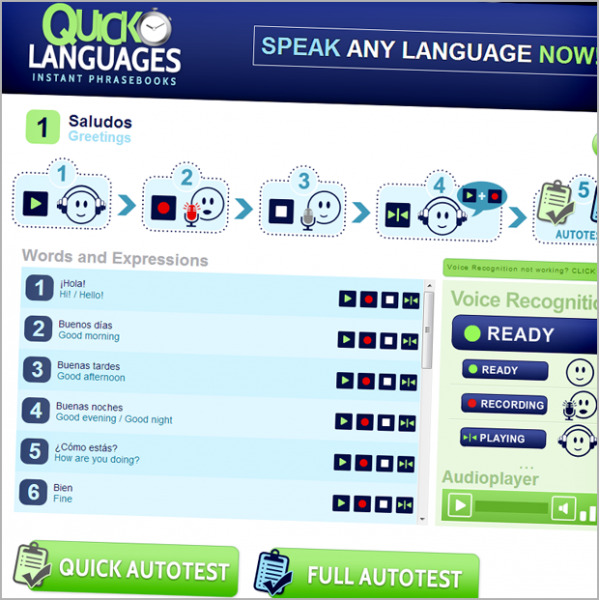 So mastering a digital phrasebook is a smart alternative to long and expensive language instruction. 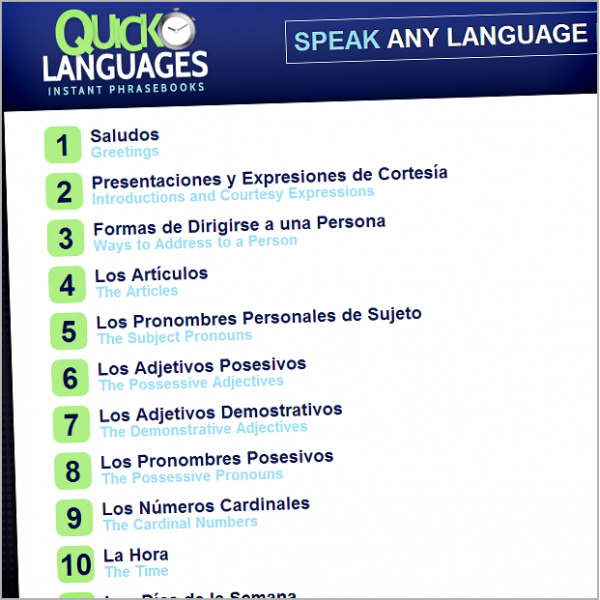 Quick Languages is an e-phrasebook that introduces you to the 12 predominant world languages all in one convenient drop down menu. Designed for visual, auditory and kinesthetic learners alike, it is simple, affordable and effective. Own the potential of connecting with over 4 Billion people!